Fixed dwarven helmet on the Closed face legendary patch. Added closed face helmets patch. Updated SoT patch to the latest version. Tons of patches sent to me by Dawei87. A Skytest Predators update to fix some minor issues. SoT patch updated to latest CTD fix edition. Upload Better Vampires Experimental Patch. Skyrim Beautiful Followers updated with tons of compatibility patches and the main file is fixed. Dragonborn patch updated with USKP changes. Closed face helmets patch now contains a patch for the WAF Legendary version. Hard Times patch updated with some perk additions and changes. SoT patch updated to add tons of compatibility patches. 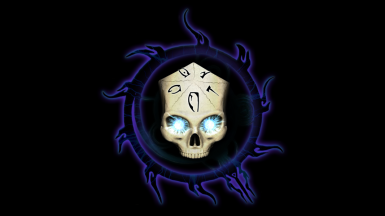 RSChildren patch updated to add SoT patch and tweak some perks. 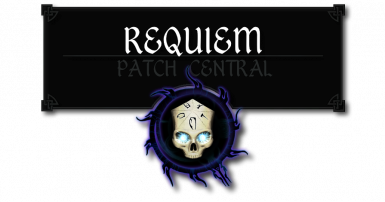 SIC patch updated with some perk additions and changes. Skyrim Beautiful Followers patch added. SPTConsistentOlderPeople patch updated with patches for SoT and CRF. Hearthfires patch updated with USKP changes. USKP patch updated with USKP changes. Hard Times patch updated with USKP changes. Populated Cities and Towns patch updated to add patches for Forts and Dungeons. Inigo patch updated to add skill boost perks. Added Blessing and Cures patch. Added Heavy Armor Fix patch. Adjusted potion effects and recipes. Changed alchemy effects dealing with enchanting. (Loot and Degredation Patch)Added dwarven powder to dwarven scrap breakdown at a discount. 2 per 1 powder. Huge SoT update. All NPCs should be using Requiem's generic naming conventions. Added Arissa the Wandering Rogue Patch. Added Loot and Degredation Patch. Updated SoT patch with some changes to the new potion recipes. Combined SCRR patch into one download file. Added Sands of Time Patch. Vilja's damage and armor can be now be modified using her menus. Instead of a bolts visualized patch I just changed the original esp since it will likely never change. It will save you a mod spot. Overwrite when prompted.